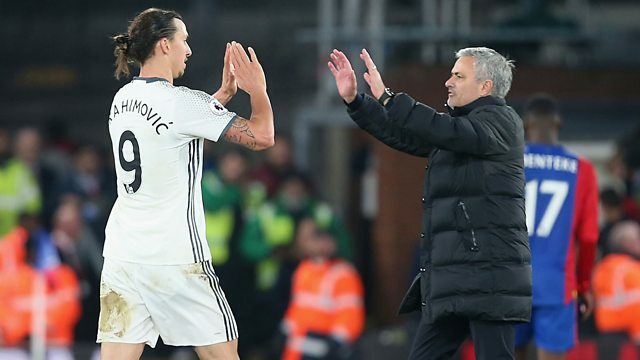 Zlatan Ibrahimovic says he couldn’t give Manchester United manager Jose Mourinho the “200%” he expected after suffering a cruciate knee ligament injury, so withdrew himself from selection at Old Trafford, before eventually deciding to leave the club. The LA Galaxy striker has given the BBC Radio 5 live Football Daily podcast an exclusive interview, discussing in depth his time in the Premier League and the relationship he has with Mourinho. Ibrahimovic revealed he didn’t want to “disappoint” his coach and team-mates at Manchester United, because he was “not ready” to perform at his previous level.